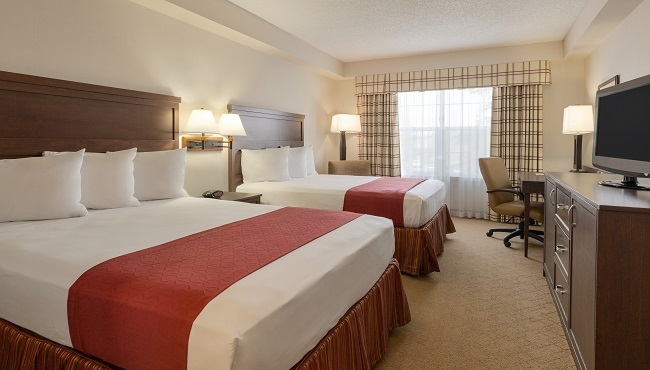 After visiting notable Calgary attractions or arriving from the YYC airport, rest easy at the Country Inn & Suites. 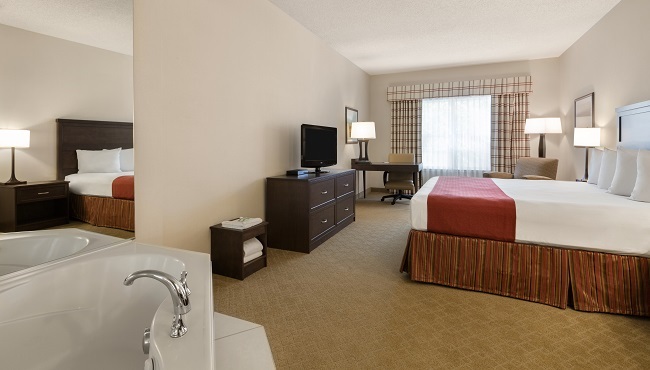 Each of our comfortable rooms and suites offers convenient amenities like free Wi-Fi and a 32-inch flat-screen TV. 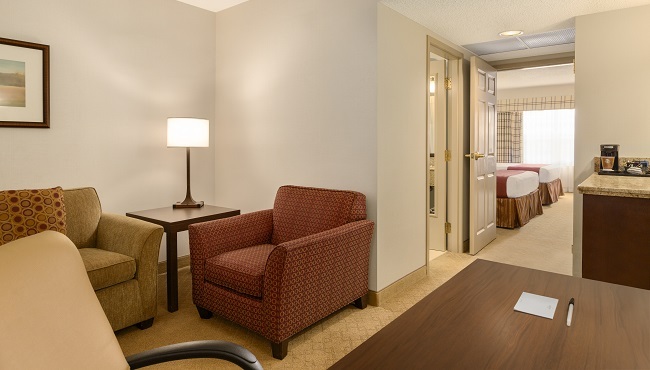 The microwave and refrigerator make it easy to enjoy a snack as you unwind, and the in-room coffeemaker offers a quick caffeine jolt every morning. In town to celebrate a special occasion? 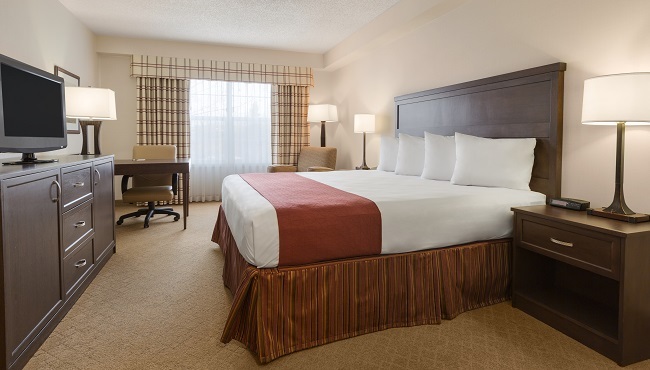 Create lasting memories by reserving a Whirlpool Suite, which features a plush king bed and a two-person, in-room whirlpool. 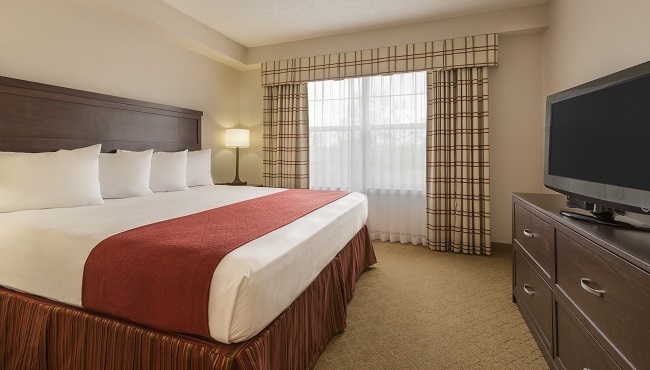 Perfect for any traveller, Standard Guest Rooms offer the choice of one king or two queen beds and include standard amenities like free Wi-Fi. 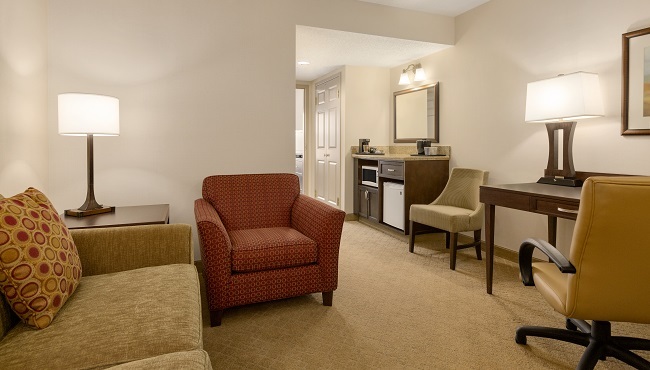 Stay in one of these suites to enjoy a separate living area with a sleeper sofa, a dry bar and two 32-inch flat-screen TVs. The private bedroom offers one king bed or two queen beds. Travelling with family or on an extended stay? The Executive King Suite provides the expansive floor plan you need and perks like one-and-a-half baths. 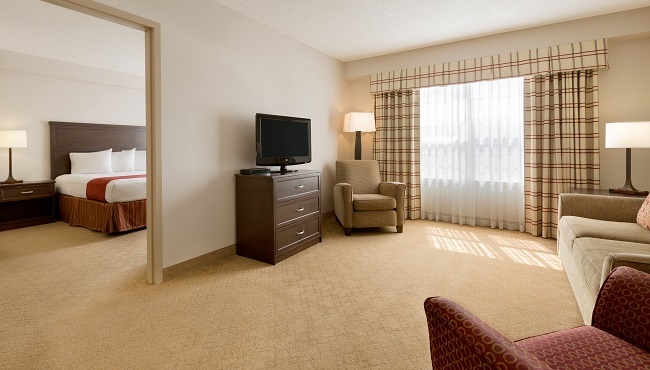 This suite offers a double sleeper sofa in the separate living area, two 32-inch flat-screen TVs and a king bed. With a plush king bed and an indulgent two-person whirlpool, these suites create the perfect atmosphere for a romantic weekend getaway or any special occasion.